It’s really not Christmas for me until I’ve got a fresh pair of festive pyjamas. In fact, the one Christmas tradition that we’ve always followed is that my mum wraps up a pair of PJs for me & my brother (and now our partners too!) to open on Christmas Eve. We obviously have to act surprised, but there’s nothing better than climbing into bed on Christmas Eve in a fresh pair of PJs. 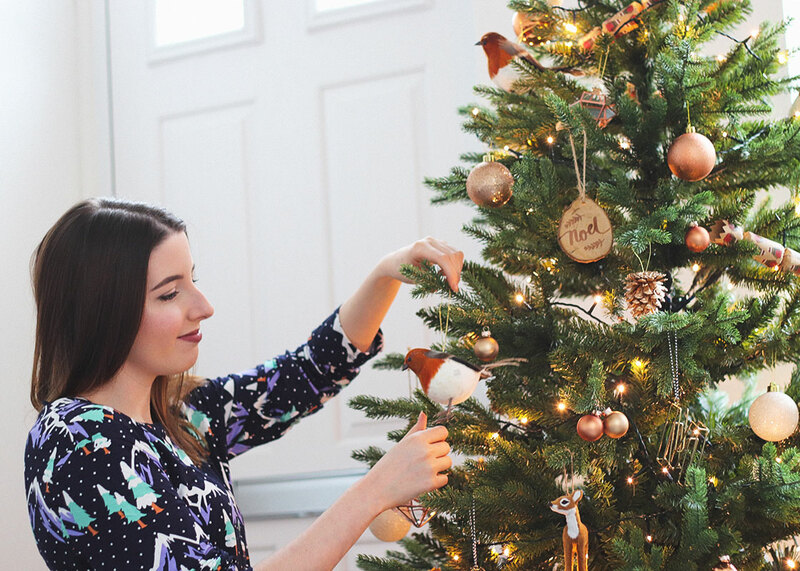 So to celebrate the festive season, I’ve rounded up some of my favourite pairs of festive and non-festive pyjamas that look cute, are family-friendly (lol) and perfect for opening your pressies on Christmas Day morning. And the hours of slobbing around that usually come after that too. I wasn’t too sure how these would look on me, but I bloody love them. These star-printed beauties are from ASOS and even though they’re PERFECT for Christmas Day, they’re also cute for all year round. The top is slightly cropped (I’m pretty short though) and the shorts can sit on the hips or waist, depending on how you prefer to wear them. Although even when they’re sat on my waist, there’s not too much risk of flashing my bum to my whole family. I’m gutted to say these long-sleeved beauts are actually out of stock. Here’s the link though, just in case they go back into stock. They’re by a New York based brand called Chelsea Peers, who create “cool and casual loungewear with a luxurious edge”. I’m all about that and these PJs are so comfy and lightweight. Plus the snowy mountain print couldn’t be more “me”. 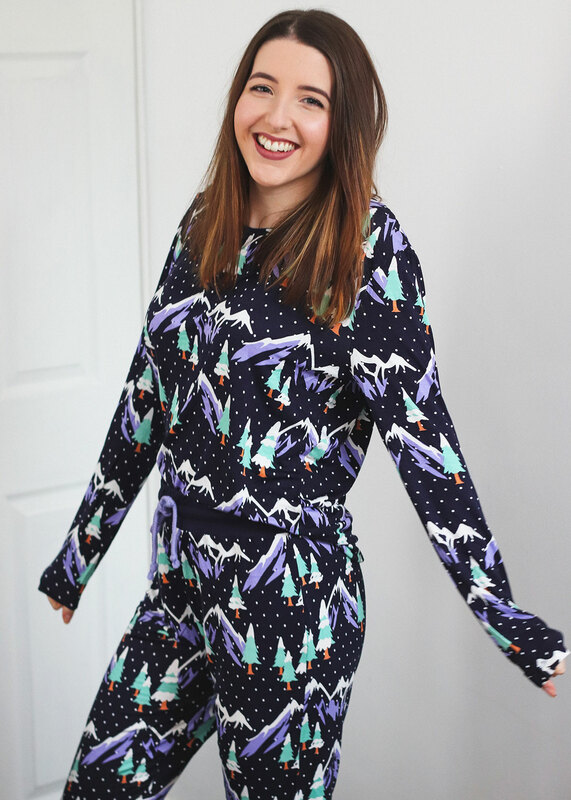 If you’re looking for some equally cosy PJs to see you through the festive season or maybe even to wrap up for a loved one this Christmas, check out my edit below of my favourite festive pyjamas. Disclosure: This post contains affiliate links, which means I make a small percentage of commission on any sales generated. Do you love to rock a pair of festive PJs at Christmas?